Orbital decompression involves removing some bone from the eye socket to open up one or more sinuses and so make space for the swollen tissue and allowing the eye to move back into normal position. The CT above shows the orbit on the left following orbital decompression. Note how the muscle bows inward, into the area of the sinus - now that this orbital wall has been surgically removed. Optic Neuropathy. Even though some patients undergo spontaneous remission of symptoms within a year, several need treatment. The originally step is the regulation of thyroid hormones levels by an endocrinologist. Topical lubrication of the ocular surface is used to avoid corneal damage caused by exposure. Tarsorrhaphy is an alternative option when the complications of ocular exposure can't be avoided solely with the drops. Corticosteroids are efficient in reducing orbital inflammation, but the benefits cease after discontinuation. Corticosteroids treatment is also limited because of their several side effects. Radiotherapy is an alternative option to reduce acute orbital inflammation. Unfortunately, there is still controversy surrounding its efficacy. A simple way of reducing inflammation is smoking cessation, as pro-inflammatory substances are found in cigarettes. Surgery might possibly be done to decompress the orbit, to improve the proptosis and to address the strabismus causing diplopia . Surgery is performed once the patient’s disease has been stable for at least six months. In severe cases, however, the surgery becomes urgent to prevent blindness from optic nerve compression. Eyelid surgery is the most common surgery performed on Graves ophthalmopathy patients. Lid-lengthening surgeries can be done on upper and lower eyelid to correct the patient’s appearance and the ocular surface exposure symptoms. Marginal myotomy of levator palpebrae muscle can reduce the palpebral fissure height by 2-3 mm. When there is a more severe upper lid retraction or exposure keratitis, marginal myotomy of levator palpebrae associated with lateral tarsal canthoplasty is recommended. This procedure can lower the upper eyelid by as much as 8 mm. Other approaches include müllerectomy (resection of the Müller muscle), eyelid spacer grafts and recession of the lower eyelid retractors. Blepharoplasty can also be done to debulk the excess fat in the lower eyelid. 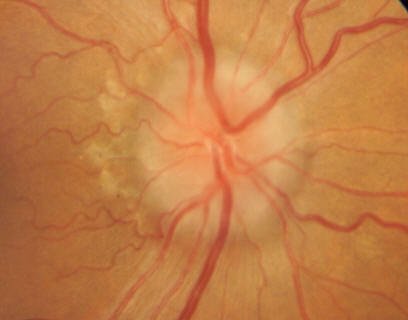 If the optic nerve is compromised, and vision is threatened as a result of Graves' disease, the term optic neuropathy might possibly be applied. In orbital decompression surgery the bone between the orbit (eye socket) and the sinuses (air spaces next to the orbit) is removed. A successful procedure improves vision and provides room for the eye to slip back into the orbit's protection. There are possible complications of the surgery, however. You might possibly experience lip numbness for several months after the operation. makes room to put the eyes back in the socket and correct the proptosis (bulging). the bone between the orbit and the Sinuses (Sinus is the air spaces next to the orbit) is removed. goal is to improve vision and provides room for your eye to slip back into the orbit's protection.